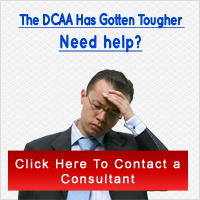 The DCAA accounting rules are many and you need to be prepared for a DCAA audit. The easiest way to ensure that you meet and exceed these rules is to have an accounting system that addresses many issues. The rules may seem tedious, and they are, but remember, the goal is to prevent the American public from being taken advantage of by contractor that could commit fraud and waste. What is important to know is that these rules were developed to create consistency within and between contract winning organizations and competing bids. Through the use of consistency, rules, and standards the DCMA and DCMA can more quickly go through organizational reports and bids than if they did not. Although the rules may seem extreme and discouraging at times, you need to know that DCAA rules are designed to let everyone involved in an audit move more quickly. It is also important to know what is expected of contract winner when it comes to DCAA rules. Follow and research the list below to get started, but know that there are DCAA compliant software programs that can make life during an audit easier. Create consistency with pricing and accounting pricing and reports, this will help the DCAA get through your paperwork quicker. Create reports that are thorough, easy to read, standardized, measurable, identifying, are able to be tracked and are reconcilable. By doing this you will prove yourself competent by meeting the DCAA rules and standards, but you will also end the audit quicker. Be prepared to verify your accounting system, this includes, the proper segregation of costs such as indirect expenses and indirect charging. Make sure you can show the allocation of indirect costs, interim costs and final contract costs. Follow the DCAA account rules for costs for current and deferred compensation for personal leave, absences, or bonuses. Additionally, ensure you follow the rules and reporting structure for pension costs compositions, measurement, adjustment and allocation. Finally, look into DCAA rules, regulations, and accounting compliant software, which will prevent you from ripping out your hair trying to organize what a DCAA compliant accounting system can in the press of a button.